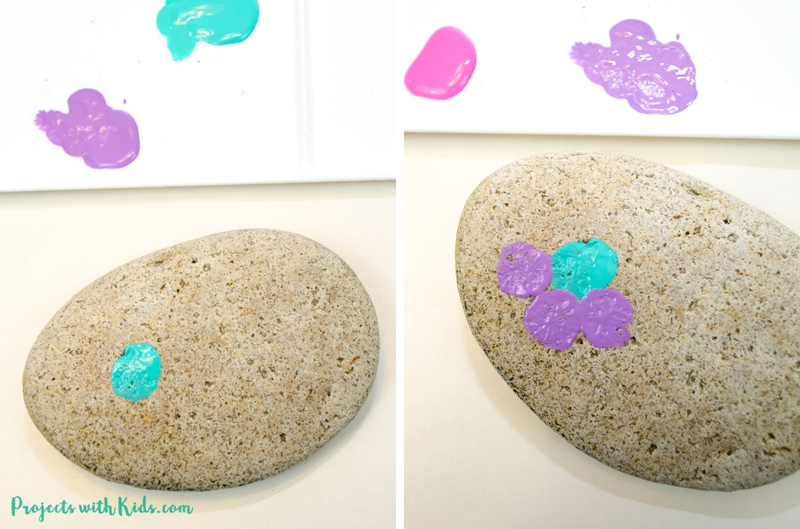 Kids will love making this painted rock craft for Mother’s Day! 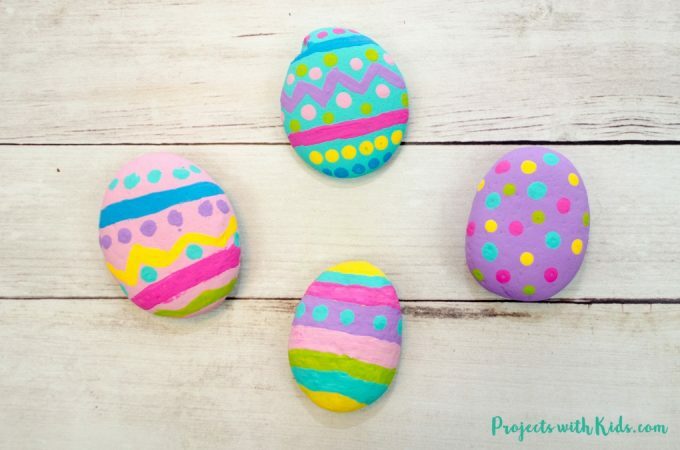 This craft is easily adaptable to kids of all ages. It’s easy enough for younger kids to make although preschoolers might need some assistance with the printing. Plus it’s great for older kids who want to add in more detail and designs with some paint pens. 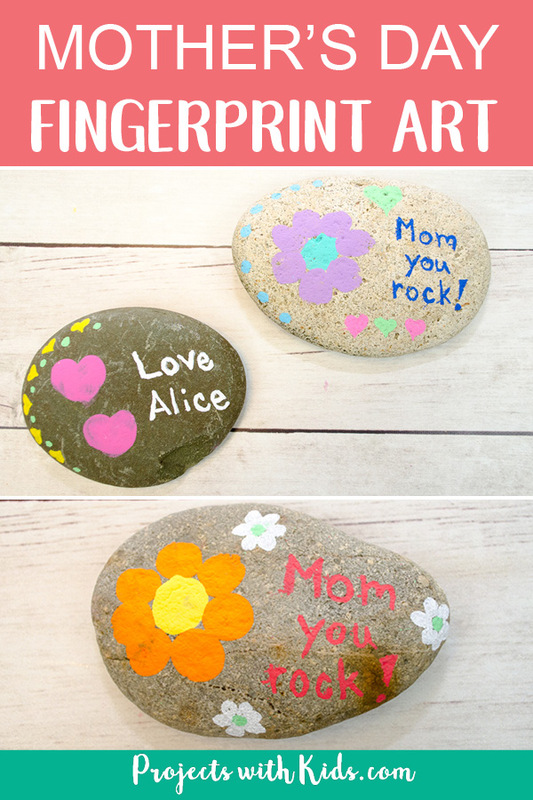 We used fingerprint flowers and hearts for our designs but there are lots of fun fingerprint ideas that kids could use. 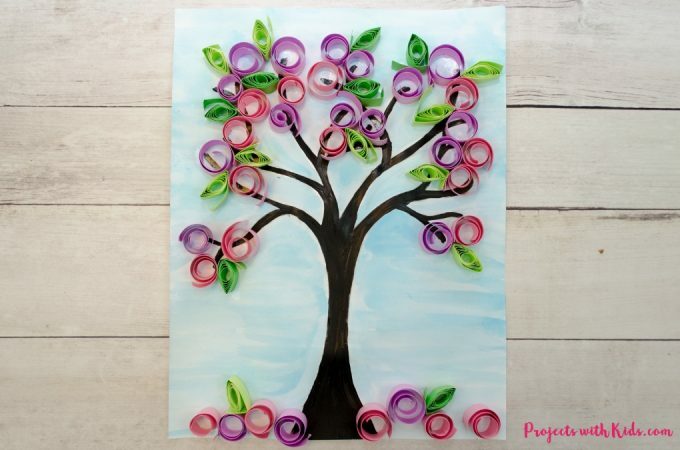 This is such a fun Mother’s Day craft that mom or grandma can keep at their desk, their dresser or even in their garden! Check out our 3D flower Mother’s Day card craft or these beautiful kid made jewelry dishes for more great Mother’s Day craft ideas! 1. First, you want to pick out your rocks. 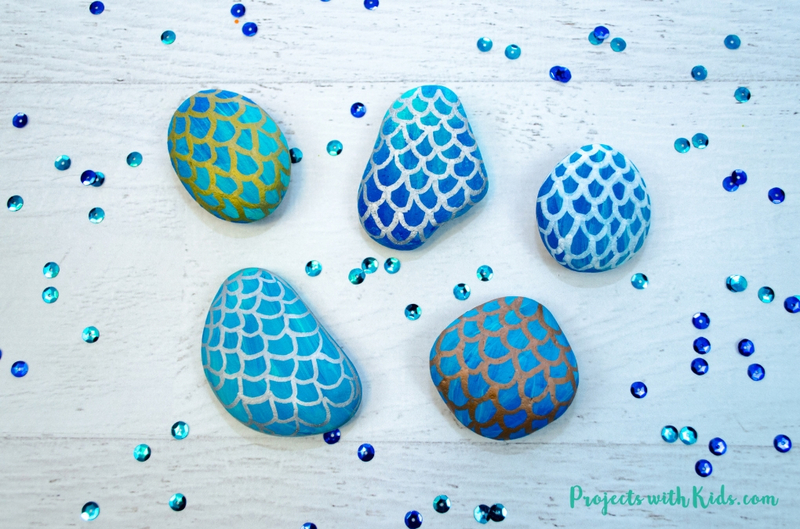 You can get river rocks from craft stores, landscape places or by collecting them yourself. If you are collecting them outside or getting them from a landscaping place, you will need to wash your rocks and let them dry. 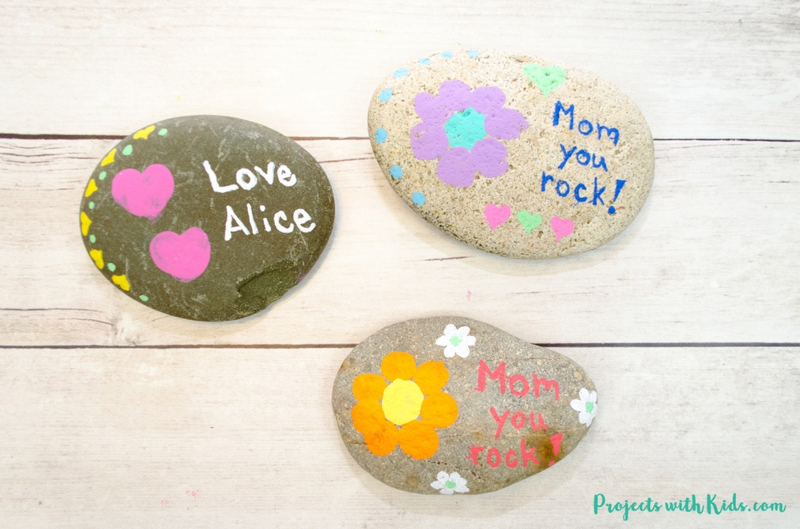 When picking out your rocks, make sure they are big enough to include the fingerprint art and the words. 2. Once your rocks are dry choose your paint colors. Kids can choose their mom’s favorite colors if they like. 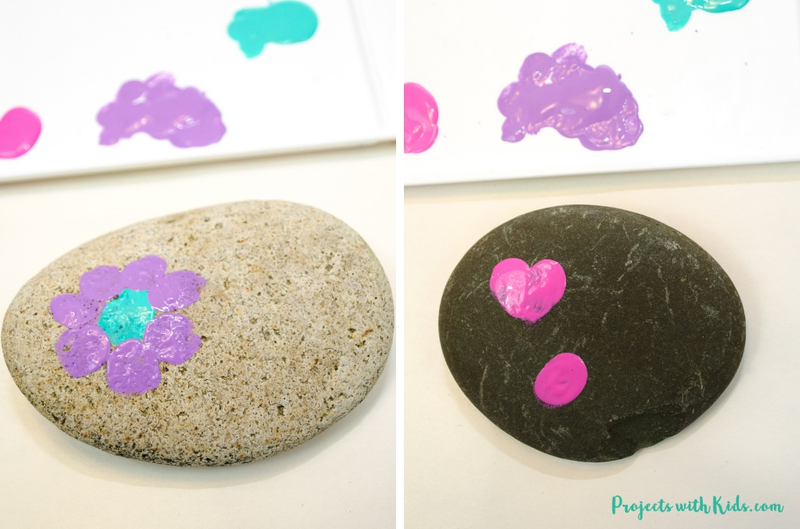 We did flower and heart fingerprint art for our rocks but kids can choose to create a different fingerprint design if they like. 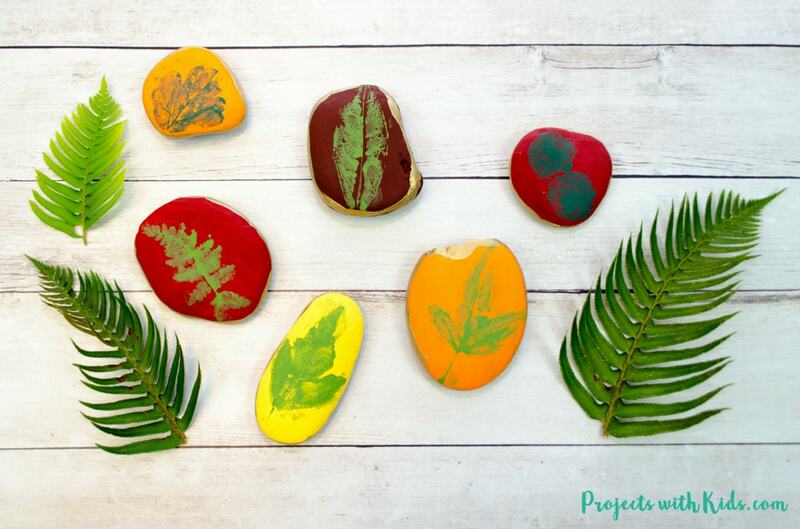 Have kids create their fingerprint design on their rocks. You want the designs to be on one side of the rock, so there is room to write on the words after. If you need some inspiration for more fingerprint art ideas, check out this awesome fingerprint craft book full of great ideas! 3. Next, it’s time to write out the words onto your rocks. We used “Mom you rock!” and “Love, (name of child)” on ours. 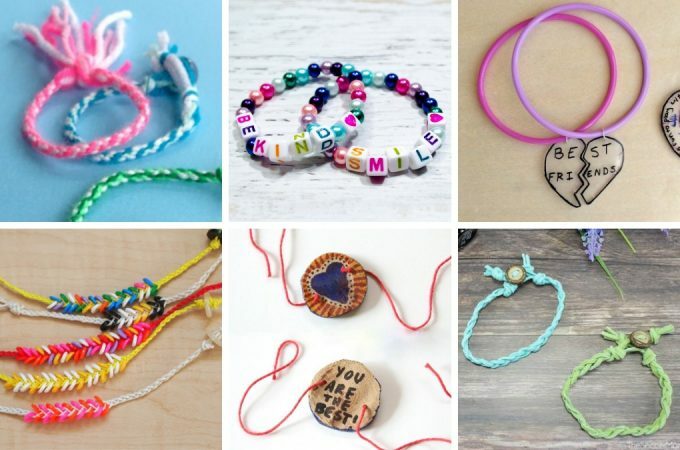 Kids can also just write their name and the date or another special message they want to write to their mom. 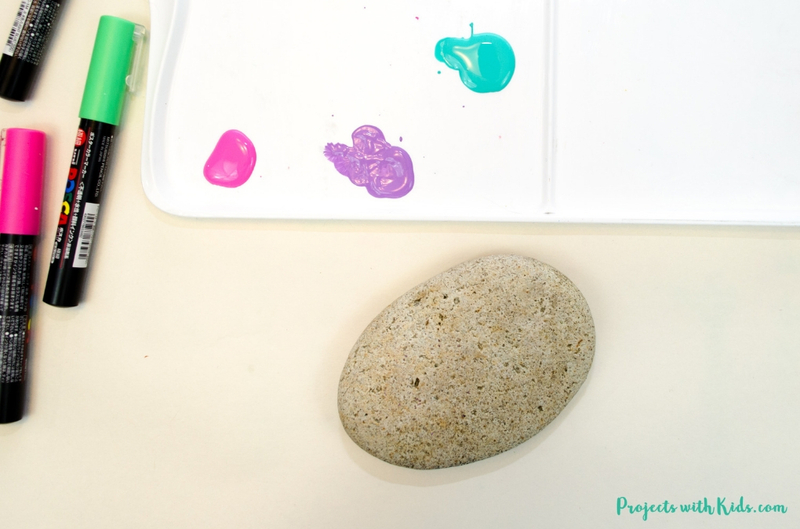 If you have a light colored rock, you want to use a darker colored paint pen (you can always test it out on the back of the rock to make sure the color is bright enough). 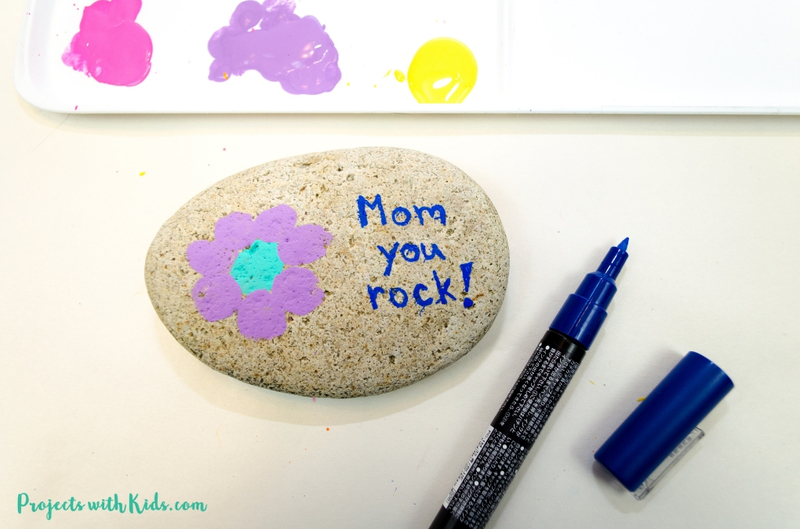 If you have a darker rock, you can use a white paint pen for the words. We used paint pens for the words, if you don’t have any paint pens you can always just use a dark-colored sharpie. 4. 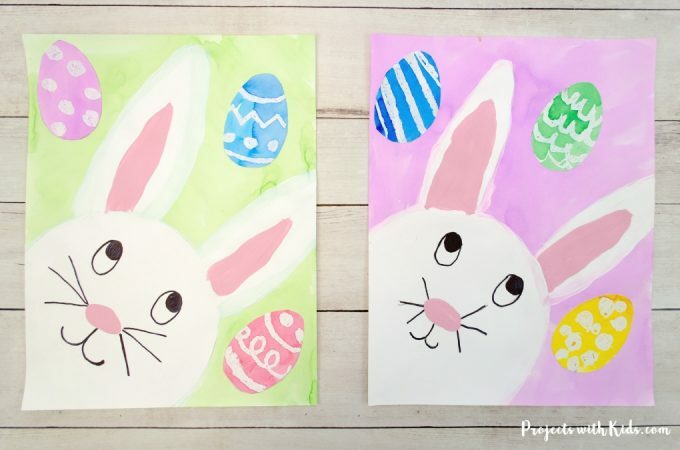 Older kids can choose to add in some more detail with different colored paint pens. 5. To finish the rocks off, they will need to be sealed. 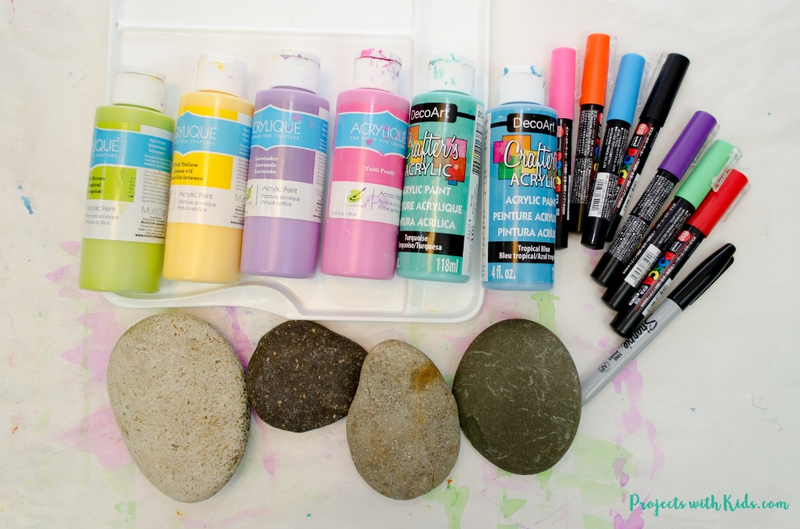 You can use Mod Podge, if they are going to be placed outside in a garden, you will need to use a weatherproof sealer. 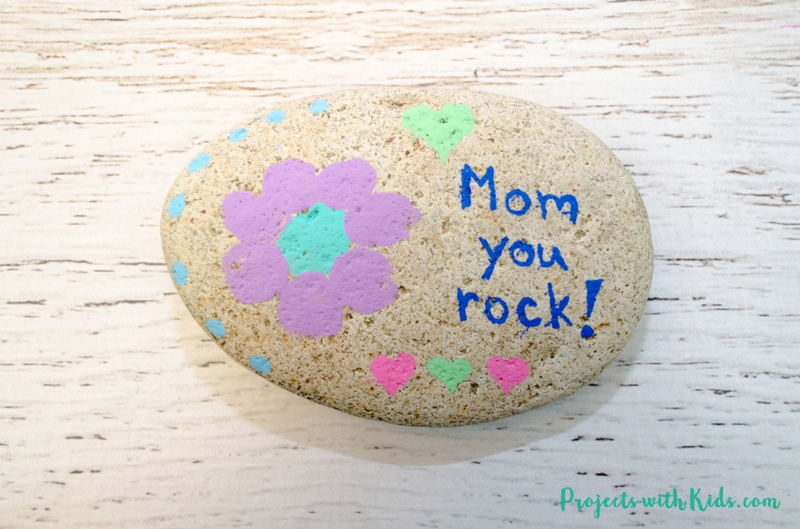 I love how our painted rocks turned out, they were super quick and easy to make and are such a special keepsake gift for Mother’s Day!